Combine the ability to stack with durability and affordability and you have smart storage and transport totes for any supplies. 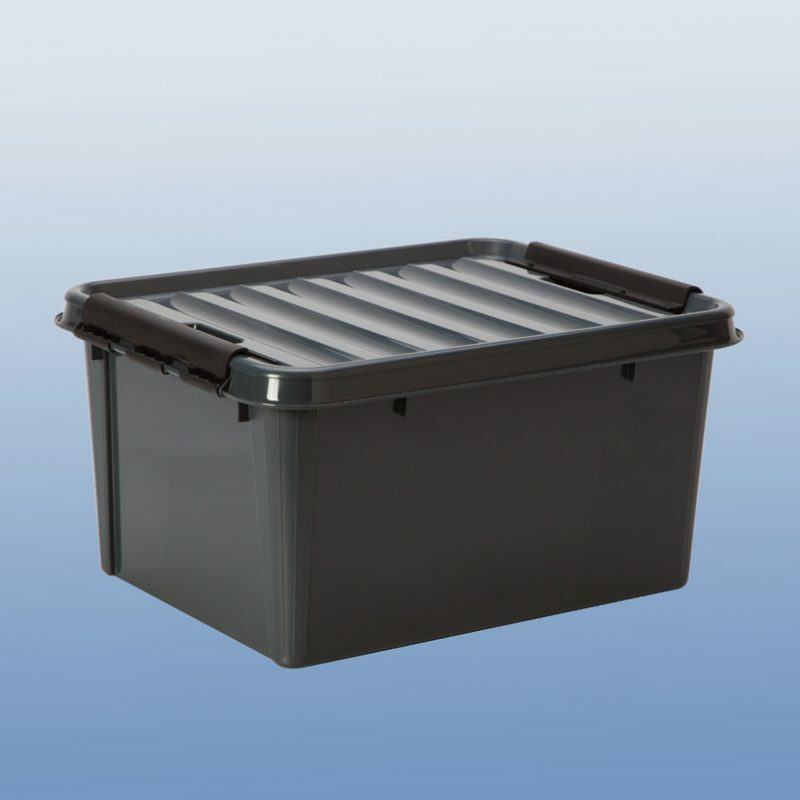 Removable lids feature double latches to ensure that lids remain with totes during transport and contents are secure and clean. Stack and save! Lids provide a stable, secure stacking surface to save floor and shelf space. Totes with the same length and width will nest without lids for space saving storage. Remove lids and use totes on shelving units or cabinets for frequently accessed supplies. Made of durable polypropylene plastic. Contact Customer Service Department about drilling holes in totes for use with security seals. Nine sizes provide you with options to best meet your organizational needs. Sides feature built-in carrying handles for easy carrying. Clear totes are ideal for quick content identification. Available in Clear, Grey, Silver or Blue Specify color when ordering.